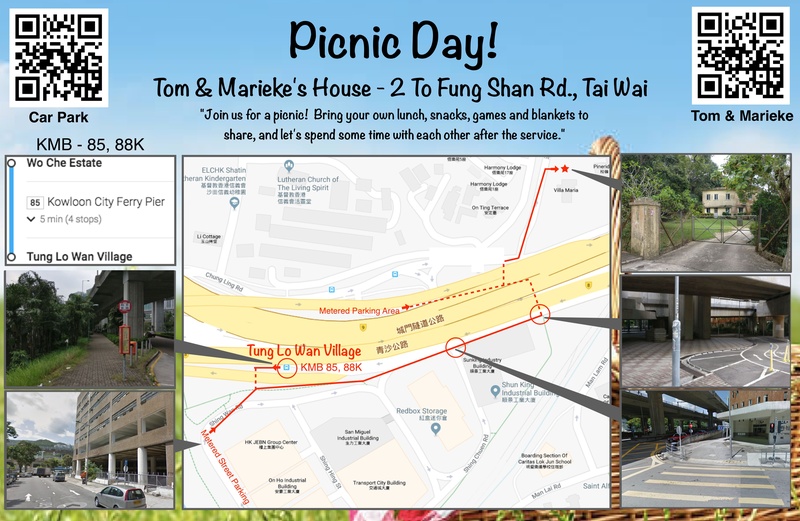 Come join our picnic on Easter Sunday! A great way to continue celebrating the good news of Jesus’ resurrection. Your friends who came to church with you are very welcome. We start going after the 930 service, and those of us from the 1130 will join us later. Plan to bring lunch! We will meet at Tom & Marieke’s garden, 2 To Fung Shan Road, Tai Wai, only 2km from TST school. Get off at Tung Lo Wan Village (4 stops).